I’ve been mulling over how to fix her. 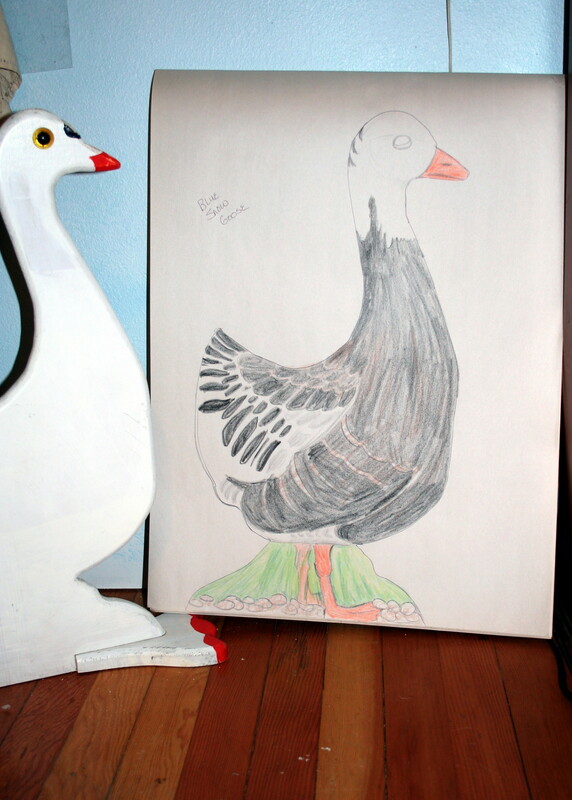 Side #1: Blue Snow Goose. 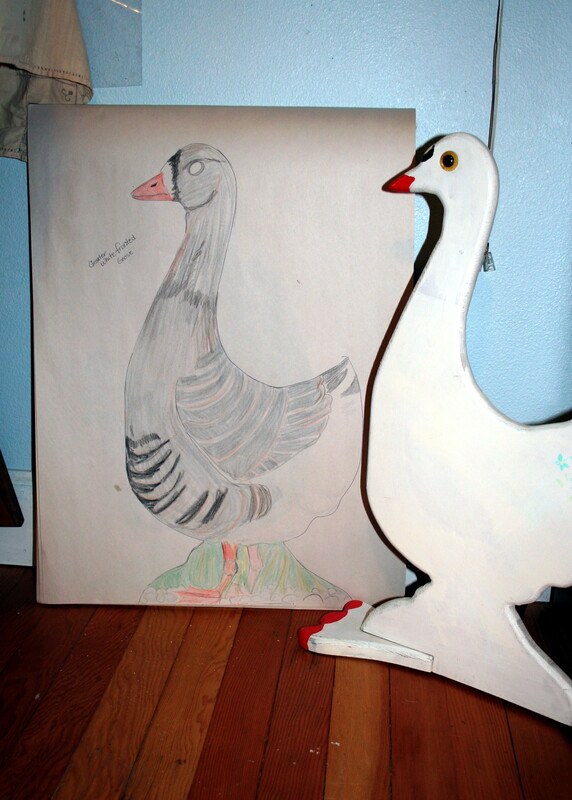 Side #2: Greater White-fronted Goose. I want to stay with native wild geese even though the cut-out doesn’t really resemble a natural goose.